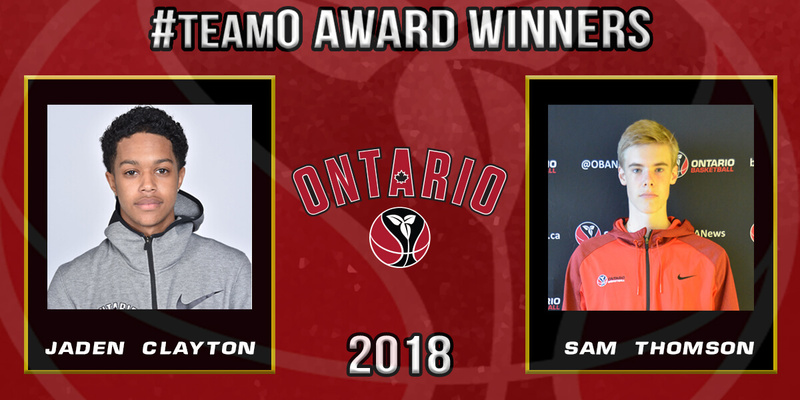 Ontario Basketball (OBA) recognized two members of Team Ontario as recipients of the 2018 James Rose Award, U15 Boys Jaden Clayton and U17 Boys Sam Thomson. The annual award is presented to a male athlete from the U15 and U17 Boys Team Ontario programs who uphold the finest qualities of sport in their pursuit of athletic excellence. Jaden Clayton is the recipient of the 2018 U15 James Rose Award. 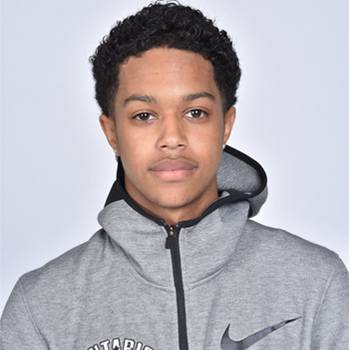 Jaden Clayton was a key contributor in the U15 Boys gold medal at the Canada Basketball National Championships in Kamloops, British Columbia this past summer. The talented Ontario roster went undefeated on route to their second consecutive national title. Clayton averaged 8.4 points per game, ranked second in steals with 2.8 per game and led the tournament with 4.0 assists per game. Head coach Mike Selliah praised the Whitby standout’s performance over the summer and sees a bright future for the young guard. Prior to Clayton’s involvement with Team Ontario, he was part of other OBA and Canada Basketball development programs, including Centre for Performance, Junior Academy, and Ontario Summer Development Program. Last season, Clayton played at Ontario Scholastic Basketball Association (OSBA) school, Bill Crothers, for their Junior Prep team. He now attends Andrews Osborne Academy in Ohio. Sam Thomson is the recipient of the 2018 U17 James Rose Award. Sam Thomson was instrumental in the U17 Boys bronze medal win at the 2018 Canada Basketball National Championships, also in Kamloops. After falling in the opening two games of the tournament, Team Ontario bounced back to win bronze over British Columbia, 80-57. 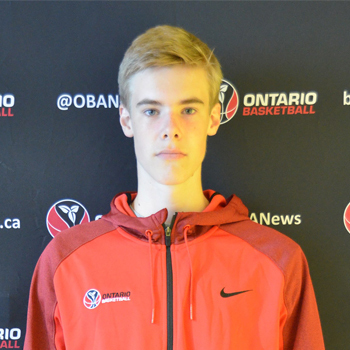 Thomson averaged 5.0 points per game, 4.6 rebounds per game and 1.2 blocks per game, and Team Ontario head coach Jamie Campbell praised the Halton Hills native for the intangibles he brought to the team. Thomson previously helped the U15 Boys make it to the podium at Nationals when the team won bronze in 2016. The following year, he was invited to training camp for the Cadet Men’s National Team. Thomson spent the last two seasons playing in the OSBA with King’s Christian. This year, he moved to Massachusetts to attend Brooks School. Ontario Basketball congratulates both recipients, who exemplify all the qualities and skills that personify the James Rose Award and demonstrate what it means to play for Team Ontario. Clayton and Thomson join a long list of accomplished James Rose Award winners, including NBA point guard Cory Joseph, who was honoured with the award in 2006 and 2008 and is the only player to receive the award twice. Written on 2018-11-22, in News.